The area east of the Old Steine contained in the early C19 some of the worst slums in Brighton. Following a proposal by H M Wagner, who gave £200 (Sawyer III p131), a proprietary chapel was built in 1839-40 for £5212 7s 11d, designed by G Cheesman junior (ICBS). It cannot have been a great success, as the poor for whom it was intended could not afford the pew rents. 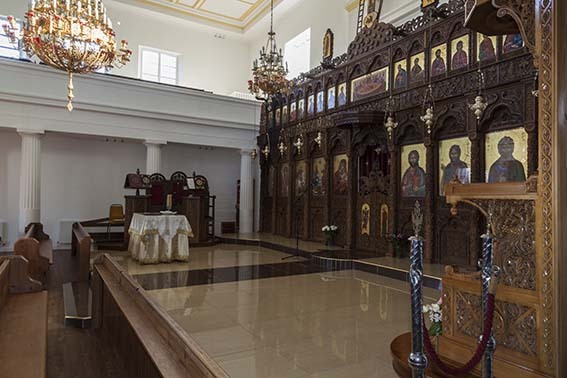 Although not cheap, the church was already old fashioned when built, for it is in the Grecian style. Today it is free of surrounding buildings, but when built only the stuccoed ‘west’ (actually south) front was visible. It shows, alas, that Cheesman was no more competent than when using gothic. Paired pilasters, with virtually non-existent capitals, flank a plain central recess; above is a row of over-sized triglyphs and a tiny pediment with a clock. Between each pair of pilasters is a pedimented doorway, not in its original state. A plan submitted to the ICBS confirms that the arrangement of the interior is original. In fact, the main front is on one side of the church which is thus correctly oriented with galleries on three sides and a small east recess, though there is a risk of confusion on entry. In 1872 the church became a district chapel and then parochial, but soon afterwards it was declared unsafe and closed. In 1875 and 1878 G Wheeler recommended rebuilding, because of poor foundations and numerous cracks (WSRO EpII/41/19), but it was instead restored by E E Scott with R S Hyde and re-opened in 1879 (BN 37 (26 Dec 1879) p xiv). 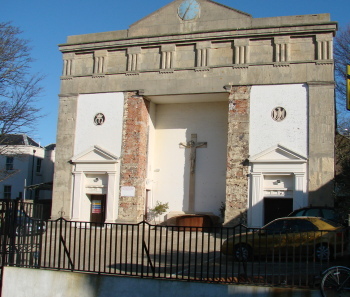 They kept the east recess, gave the galleries new fronts with painted texts (now gone), though the iron Doric columns supporting them may remain from the church of 1839, as well as replacing the ceiling and altering the entrances. F T Cawthorn (Scott’s last partner) in 1919 panelled the altar recess, centred on a reredos in the style of Wren with a rounded pediment, as a war memorial (ESRO Par 267/4/1). In 1955-57, L A MacIntosh of Croydon (ibid, Par 267/4/1/7) sought during repair work to improve the west front by altering the doorways to their present pedimented form and inserting a large cross in the central recess, with small blue and white medallions above the (image) porches by J Cribb (CCC). By 1980 the parish contained few residents, so the church was made redundant and transferred to the Greek Orthodox community of Brighton. 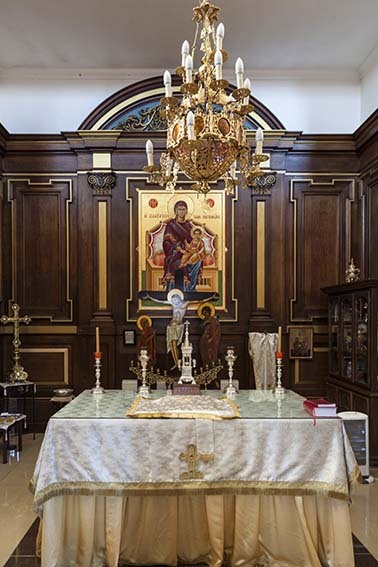 It has been adapted to Orthodox liturgical requirements, in particular by an inserting an iconostasis across the east end in front of the altar, and rededicated to the Holy Trinity. The church was in 2010 the subject of an arson attack which did £½ million worth of damage. Restoration was largely completed by 2015 and the work has been well done, so that the interior is bright and light and retains much of its Anglican character. 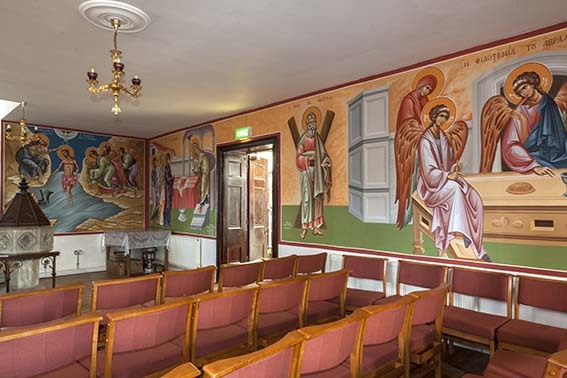 The area under the gallery has been decorated with murals in the Orthodox tradition with chairs donated by Cuckfield church, West Sussex, as were the benches in the main part of the church (NW). There were also exterior repairs to counter the extensive decay to the fabric which had become evident, hardly surprisingly given the exposed position of the church and the poor initial construction. Font: (Now in south aisle) C19 copy of a C15 octagonal type with quatrefoils on the bowl. Reredos: Until 1980 this contained a mid-C17 Flemish painting of the Crucifixion, but today there is an icon of the Virgin and Child. Royal Arms: Iron with worn paint. 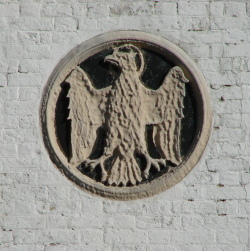 The Arms are those used between 1816 and 1837 so they had ceased to be current by the time the church was built. It is possible that the church authorities acquired them cheaply as a consequence (NW). My thanks to Nick Wiseman (NW), both for the photographs of the interior and valuable information about the fittings.